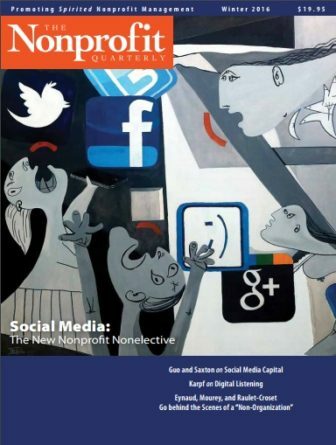 Click the cover image below to read and download the Fall 2014 digital issue of the Nonprofit Quarterly. 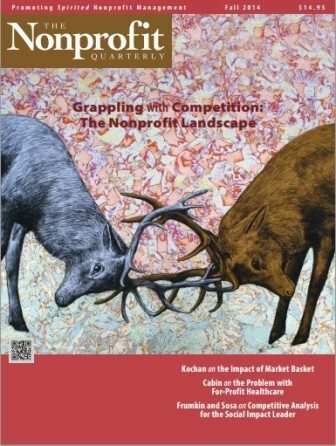 The issue of competition may show up a little differently for nonprofits than for for-profits—and, of course, collaboration is the new competition—but being able to assess this component of our environments is core to many a nonprofit’s strategic decision-making. 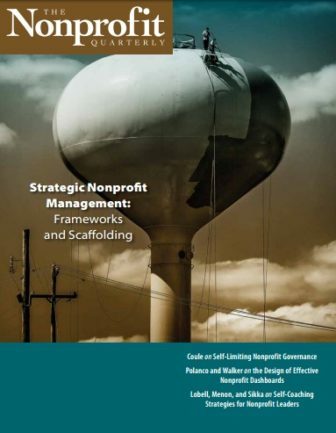 Nonprofit organizations are different from those in the business and government sectors—so, reasons the author, it would be logical to expect to manage and govern them differently. 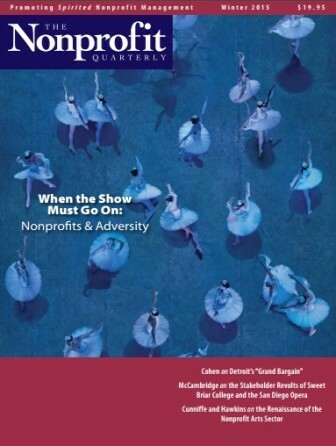 In the absence of a general framework for nonprofit management, however, thirdsector organizations are under persistent pressure to look like something else. 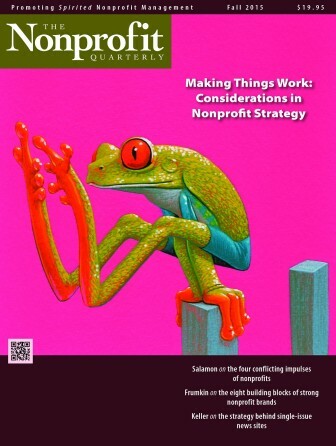 The nineteen practices laid out in this article were developed by the Minnesota Council of Nonprofits in aid of reversing this trend. 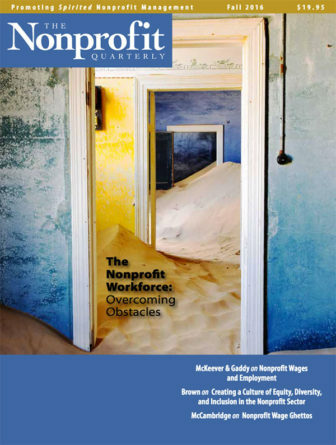 This article outlines the nonprofit legal issues that emerge when nonprofits and for-profits compete in each others’ fields of endeavor. Was it a good idea to allow for-profits in the field of healthcare to receive government funding and, in effect, compete with nonprofits? 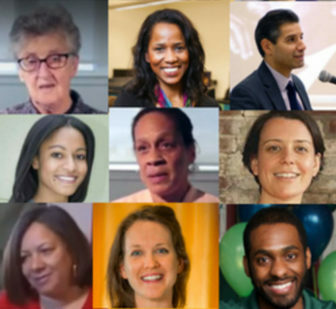 This week is the anniversary of the opening of the ACA enrollment, and this article is the only public review of this important new field of nonprofits charged to have immediate and broad impact in a highly competitive and politically charged environment. This column by the late Donella Meadows is a powerful meditation that asks what will happen if our economic systems continue competing instead of collaborating with Earth’s sustainability. 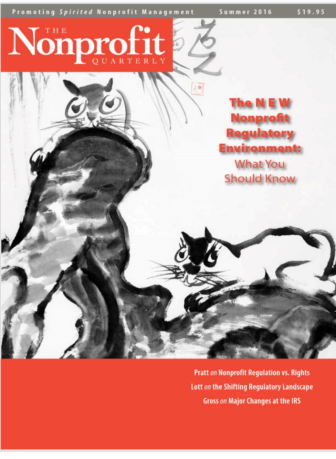 This article is featured in NPQ’s upcoming fall 2014 edition of its print journal, on markets and competition. 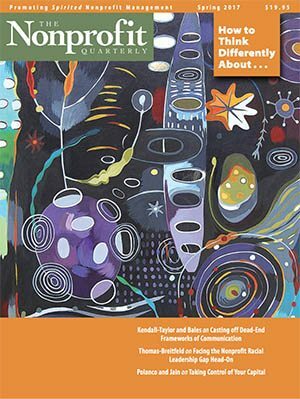 SUBSCRIBE TODAY to ensure that you do not miss this important collection.